Why is teaching students to write effectively so hard? Writing is a complex task and therefore requires many sounds, meaningful approaches. Even so, teachers can and should make writing instruction enjoyable as well as effective. In addition, independent writing – formal or open response –requires students open up and show their personal thoughts, ideas, writing skills, and their mistakes…to you, the teacher, to ultimately judge, correct, evaluate, or grade. That is a vulnerable place for any adult, and it is a much more scary place for young developing writers (especially teens.) Yet, feedback is inherent to writing, and so the cycle is set in motion. Even for strong writers, these instructional practices may be challenging; it is difficult to focus and produce the written word. But, year after year, for struggling students, writing classes become less and less appealing resulting in less cooperation and motivation. All the while, more and more complex writing tasks are beating at your door of expectations. What if you had a few strong approaches that could be used at any time and across various contents? There are effective, evidence-based practices for teaching writing. Among my favorite to share with teachers is the mega-analysis work of Steven Graham. Click this link to review a brief summary his work. This link concentrates on information most helpful for students in grades 4-12. The suggested instructional activities in this blog are based on various recommendations from this unified research base. 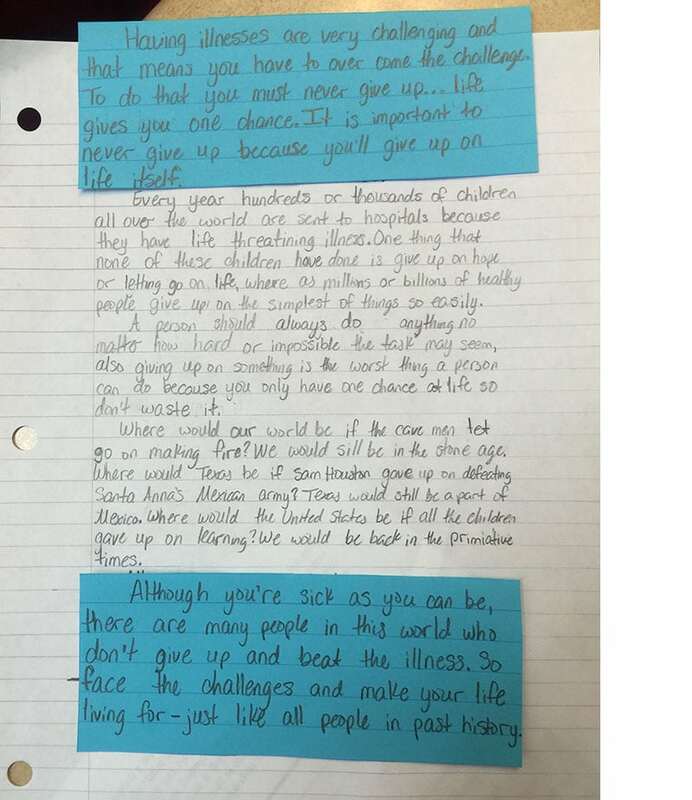 Are we teaching students how to be strong writers or how to pass a test? You know the answer, but may not fully understand how both questions can be answered to serve the same purpose. First and foremost, teaching students to be strong writers is about formal writing: intentional use of all stages of the writing process for a given purpose and form. 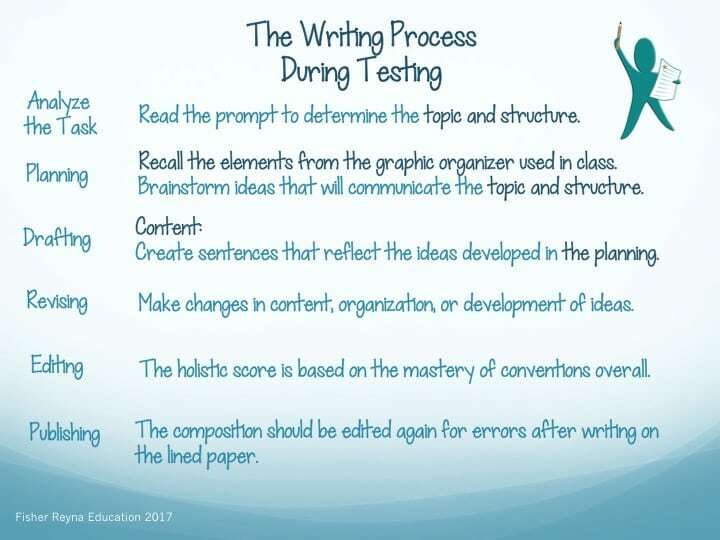 Click here to download a free description of the writing process as it applies to state testing from our book, Solutions for Success: Writing. In many states, February signals the remaining weeks before the BIG state writing test. Out of urgency and panic, many teachers start to assign students one writing prompt week after week– expecting their student’s writing skills to improve. Each week, in an effort to complete the essay, they allow students to draft the essay without placing enough value on the “pre-writing-planning” phase and therefore the other stages suffer too. In many cases, this is the direct result of not being able to reach all students with varying degrees of writing development; there just isn’t enough time to give each student one-to-one conferences. And let’s be honest, students who greatly struggle with writing need that one-to-one feedback the most. Worst of all, in this rush, shared writing experiences are often skipped and replaced with a basic explanation of the prompt. Time is a teacher’s worst enemy; we all know it. I would argue it is one of the greatest foes for writing teachers. Does this sound like something you are experiencing? Don’t answer that…and better yet… Don’t Panic! Below are helpful practices that can bring teaching back into your writing class, and still help you complete a meaningful writing experience that will accelerate the production of an essay with high-quality writing skills. Even better, it is so much fun! There are many collaborative methods for writing. Our interactive writing approach includes a strong model for form and structure and includes ALL stages of the writing process. It typically takes one class period – about 45 to 50 minutes once students understand the routine. Below is a brief overview, but look for our interactive writing course coming soon to our website. It is based on a type of Jigsaw activity. Interactive writing, when done routinely, can have a tremendous impact! However, one lesson will not suffice. Consistent weekly use will dramatically improve student proficiency. More importantly, it is so much fun!! Clink on the link to see a video. Use dry erase makers to plan the central/controlling idea or thesis statements. Teachers can use student desks, plastic sleeves, or transparency sheets (if your school still has some of those around.) This helps isolate this critical sentence or two and gives the paper direction before students actually plan the remainder of the paper. The picture below shows my favorite type of student dry erase markers. Have fun and explore! Pair students up and let one student plan the central or controlling idea while the other writes a meaningful hook. Their combined efforts can serve as the introduction to their paper. Then students are off to a successful essay, and you didn’t have to battle them to get it done well. Once students are actually planning decently and have a direction of what their essay will be about, the next big pitfall is developing the body of the paper. 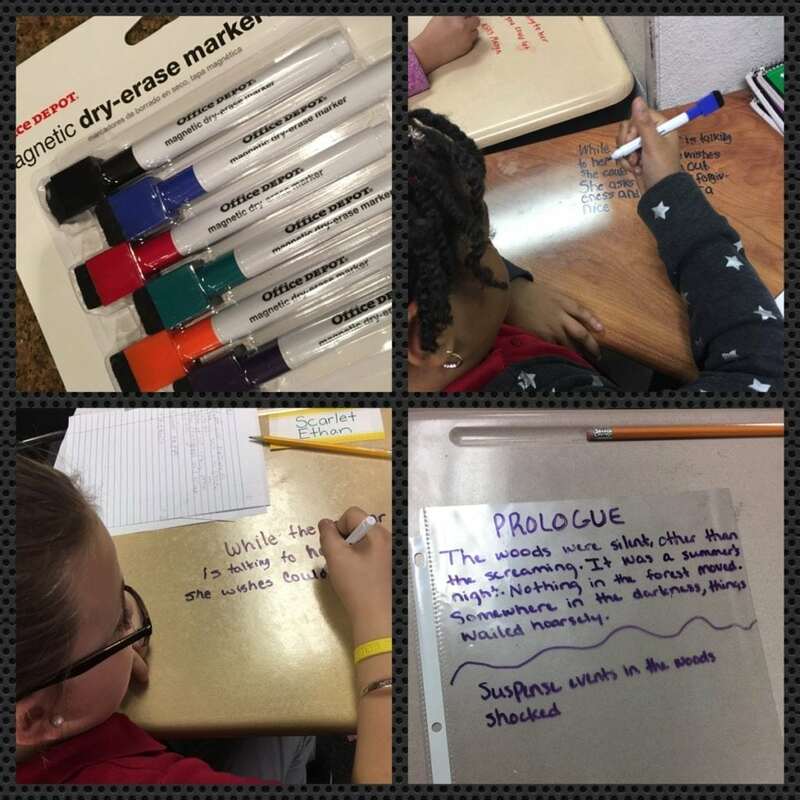 To create a focus lesson on meaningful details that ensure engaging development with sentence-to-sentence connections, provide lessons with introductions and conclusions as well as the main idea. Then have students write in the sentences of the body of a paper. See image below. We all know that providing a model for writing is important. Moreover, many teachers make it a point to read and share strong essays that match the form of writing expected on the state test. But an idea that is beneficial and fun is teaching students how to reverse outline a high-scoring paper. For example, in Texas, the Texas Education Agency released high scoring student essays for expository writing. After we teach students how to create a working outline or “plan” as prewriting, we are ready to show students how to reverse outline an essay. Students can reverse outline in pairs or small cooperative groups and then compare the outline they developed from the sample essay to see if they were able to find the text evidence critical attributes. Have we found all the answers and exciting approaches to effective writing instruction? Does such a thing exist? No. 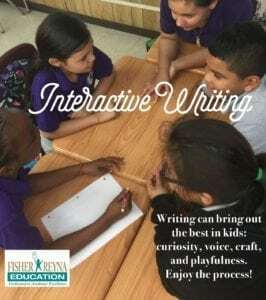 But, with these ideas, teachers can take charge of their student’s writing development with meaningful activities and practices. The positivity, the interaction, the “practice without punishment” (as a veteran teacher once told me) makes weekly independent writing far more effective.